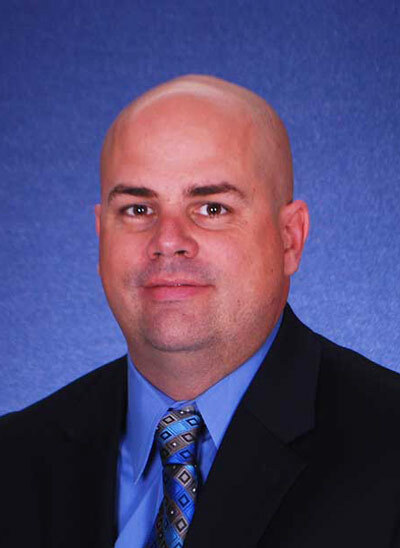 As the Administrative Captain for the Chesterfield Township Police Department, Brian McNair is responsible for overseeing the administration of the department, including budget, personnel, training, grants, community planning, information technology, dispatch, records department, maintenance and more. A Macomb Police Academy graduate, he has a Bachelor’s of Leadership in Public Safety from Baker College, a Masters in Administration from Central Michigan University and graduated Eastern Michigan University Police Staff and Command School. Captain McNair has been with the Chesterfield Township Police Department since 2003. During that time, past projects and responsibilities have included road patrol, traffic bureau, accident investigation and reconstruction, an Evidence Technician, Community Relations Officer, FTO and CTO Supervisor, and directing a patrol unit. Prior to joining the Chesterfield Township Police Department, Captain McNair worked for Hazel Park Police Department as a police officer from 1999-2003. Captain McNair is a Criminal Justice Adjunct Professor at Baker College and Law Enforcement Adjunct Instructor at Macomb Community College Criminal Justice Training Center.